When I started looking for a way to define my outdoor space, I looked at outdoor rugs for patios to make my dining area stand out. In this article we will look at the Better Homes and Garden collection of outdoor rugs. Having several styles and sizes to choose from will let you match your outdoor decor. All of these rugs will be made from the same power loomed polypropylene material that will be able to get wet for quick cleaning of debris after your party. They will dry very quickly so you can use your outdoor room shortly after a rain and you will not have to take it up each time you expect rain. Now lets look at what is available in the Better Homes and Garden collection for your outdoor space. If you are looking for a beige main color this Medallion rug will work. Made to clean easy with just a wash off with a hose and let dry. Does not have any backing material to hold in place, you will have to use your furniture. These rugs will not work as well on the inside of your home as the surface is not a smooth as your typical indoor rug. The little ones will get rug burns on their knees if they slide across it. 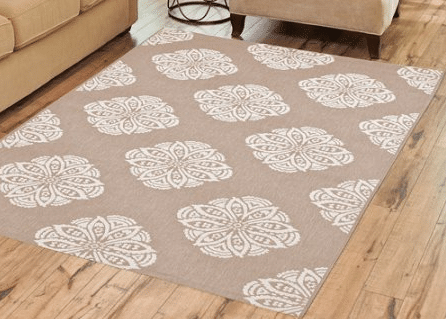 This Beige rug is available in 5 by 7 foot and 8 by 11 foot size. Price range is about $46 for the smaller rug and about $178 for the larger rug. Click on the picture for the current prices and sizes that are available. This brown rug with geometric design will fit many outdoor decors. It will go great with a brown or white wicker furniture. No backing on this rug. For cleaning use a hose to wash and wait for it to dry. If you want to use indoors, I would suggest a backing material to keep in place and to make it easier on you feet. The brown color is available in an 8 X 10 foot size. Price is about $117 for this rug. Looking for a rug that will give you the look and feel of the desert southwest, this design will work for you. The major colors are browns and white. Can be cleaned with a hose, vacuum or broom. 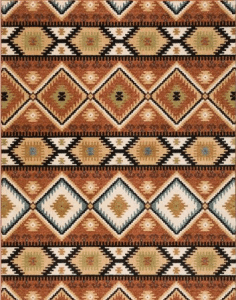 No backing is included, this rug will work indoors for traffic areas or just an area rug to give your indoor space a splash of the southwest. Only available in the color pattern shown in 5 foot by 7 foot 3 inch, 6 foot 6 inch by 9 foot 6 inch and 7 foot 10 inch by 10 foot sizes. Prices start at $58 and go to $168 depending on the size you choose. Called Blue diamond it is actually a blue with green specks in color, looking more blue green in color. 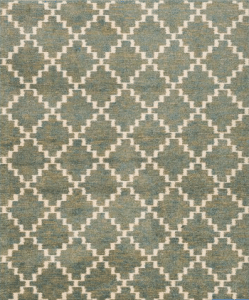 The ivory white diamond outline gives this rug dimensions. Will last a long time in the outdoor environment, having a space to store inside or having under a cover will make these rugs last longer. Only available in the blue color shown in a 5 by 7 foot 3 inch, 6 foot 6 inch by 9 foot 6 inch and 7 foot 10 inch by 10 foot sizes. Prices range from about $56 to $93 depending on the size. When looking for solutions for your outdoor rugs for patios, these selections and others are available from Walmart.com and will serve you well. I have given you the sizes and colors that are available in each style. I have one for my outdoor space at the camper to sit my dining table on and it defines the space. The rug also gives you a smother surface to walk on, a lot better than the concrete surface. For more solutions in outdoor rugs see my other post here. Thanks for reading my information on outdoor rugs, if you have any questions or comments use the forms below. If you have an item that you would like to see on my site leave me an email and I will get back to you quickly. No need to get any ones help with installation. Remove all furniture, place rug in place, replace all furniture. You are ready to use your space. I am actually looking to enclose my deck soon. Would you recommend the types of rugs you talked about in this post for the bottom which will be the original deck or are there other options to cover the entire deck bottom? I don’t want bugs & things getting into the enclosed space from under the deck! I would only recommend an outdoor rug for covering you deck material for areas, not the whole area. It will not keep bugs out. The best way to fix the deck problem is to screen the bottom of the decking boards. I have seen it done. Nothing on the top will work unless you cover the top with a solid material. When I closed in my deck, I took the decking boards off and replaced them with plywood. I covered the plywood with a glue on type of carpet. It looks and works great on keeping the area clean from bugs. You can put the plywood right on top of your decking boards if they are in great shape and not bowed. The favorite one is the desert southwest one because it reminds me of Africa. I love Africa and started doing an African theme in my bedroom three years ago but never got to finish it. I never knew that you could get outdoor rugs! These will help you define your outdoor space. They can give you separation of space without walls. If you have a rough surface that you use outside, you can have a better place to put your bare feet in the summer. You need the right outdoor rug to make it happen. Actually desert southwest rug looks amazing. And I love its brown color. However I want to know which tool is the best for cleaning it? You can just wash off with a hose, that is what I do. You can sweep off with a broom or vacuum. When using vacuum, do not use beater brushes as they will kill the loom on the rug and it will not last very long. Hello John, I so do like the idea of bringing our living space out to nature. And making it so comfortable and beautiful is truly fun to do. Liked all the rugs. So maintenance is not a problem? These rugs are OK in most weather. They should not sit in standing water and if soaked, they should be dried to make sure that they do not mold. Most will do just great in outdoor conditions, I would bring them in during winter months if you live where it gets very cold. Hey John, these are cool looking and would keep our bare feet from burning when we are on the deck. And the price’s are reasonable. We have a Sunseter awning and they are always sending us ads with outdoor carpets that run in the hundreds. It’s nice to know we can get them for a lot cheaper. The thought of burning my feet on a deck would make me get something to protect them. These rugs would be a perfect fit for a space that will need some separation from another space.